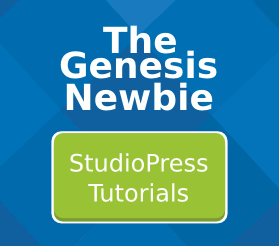 Read the instructions that tell you the exact size needed for an image logo in your StudioPress theme. Bigger images WILL be automatically cropped by WordPress. So make sure the logo image IS the right size.